In the past decade the banking system has faced near collapse from the fallout of the financial crisis but as they continue to recover, part of their strategy to increase income has been to promote their range of investment products. 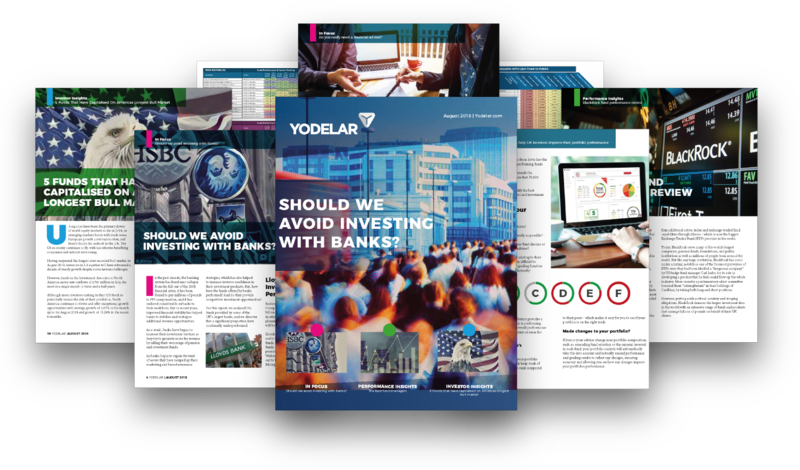 In this edition we analyse the performance of the funds offered by 4 major UK banks and ask should we invest with banks or stick with investment specialists? 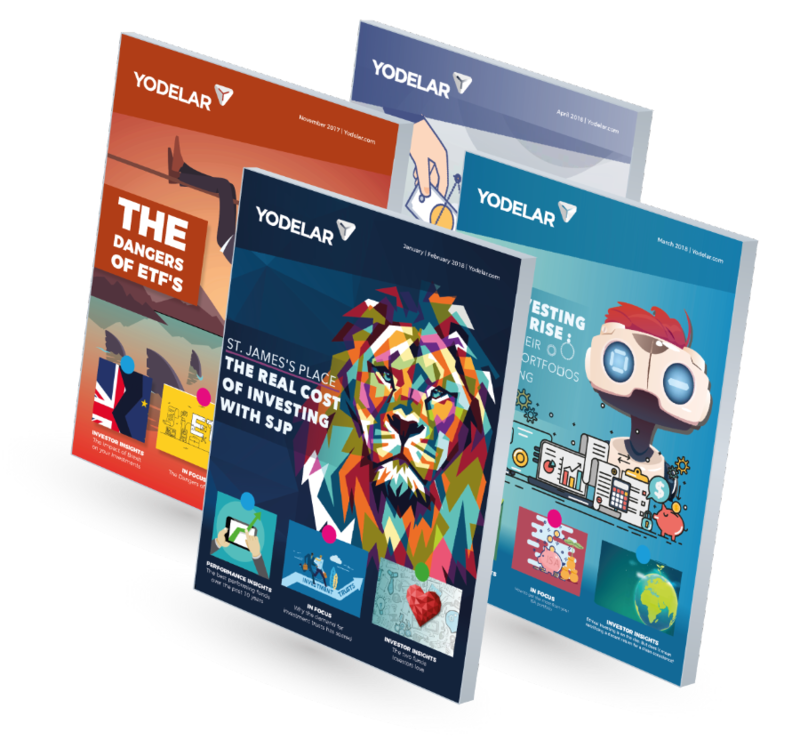 We also feature Yodelar’s new investor dashboard which has been designed by investors for investors. Find out how our new features can help you improve your portfolio performance. Subscribe today & access to all for £1*. 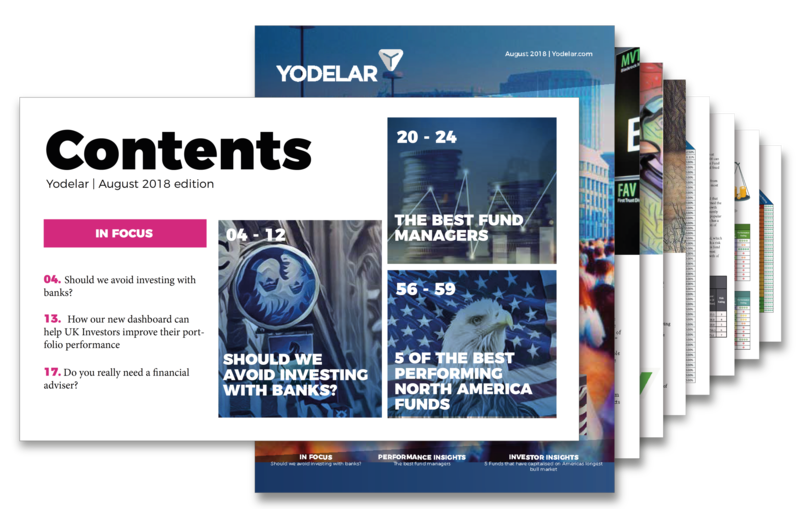 Access bespoke performance analysis on the most popular fund managers as well as external insights that could affect your existing investments and future wealth. This months edition looks at the role of financial advisers and whether or not they add sufficient value to investors. BlackRock manages more money than any other investment firm. In this edition, we analysed over 600 BlackRock funds and we identify which of their funds have performed the best and put a spotlight on those that have underperformed. Having surpassed the longest-ever recorded bull market in August 2018, investors in US equities will have witnessed a decade of steady growth despite some serious challenges. In this report, we look at 5 funds that have consistently excelled in the volatile North American market and see how their returns compare to all other funds in the sector.